Our Next Meeting will be March 4th, 2016! • The pregnancy center item for the month of March is girl’s clothing size 0-24 months. This can be new or very gently used. Also, if you were not able to bring bibs or burp cloths to the February meeting, and would like to bring these, please feel free to do so! 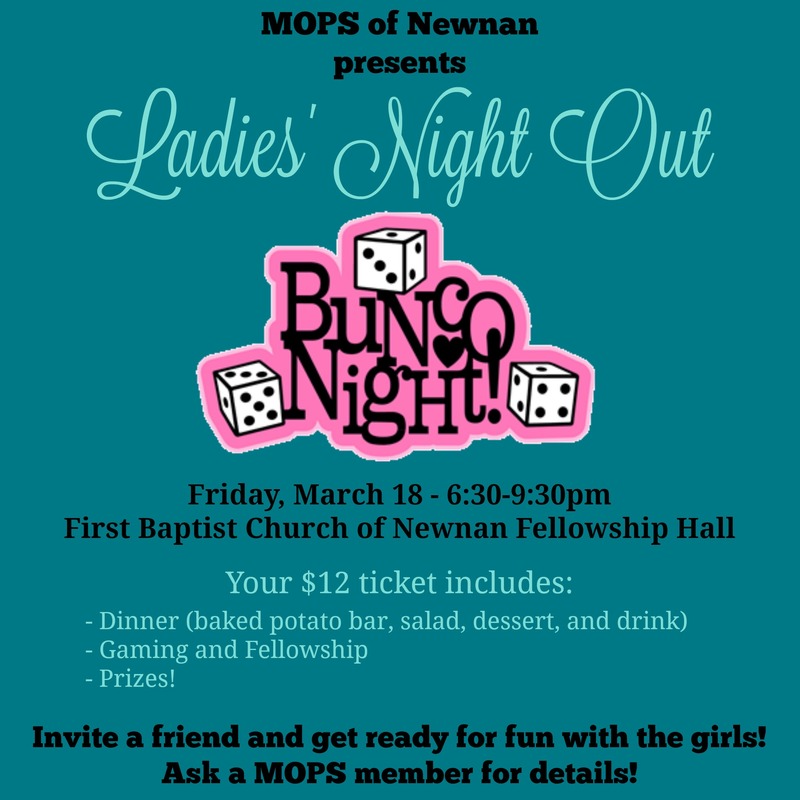 • Our Spring Fundraiser is going to be a Ladies Only Bunco Game Night!! • Our birthdays for the month of March are Laura Prout and Joanna Harvey. Hillari Flippo and Carla Payne both are celebrating their anniversaries this month! • The tables blessing us with food this meeting are the pink and white table.